Some of the world’s most famous cartoon characters will set sail on their very own cruise ship, Cartoon Network Wave. 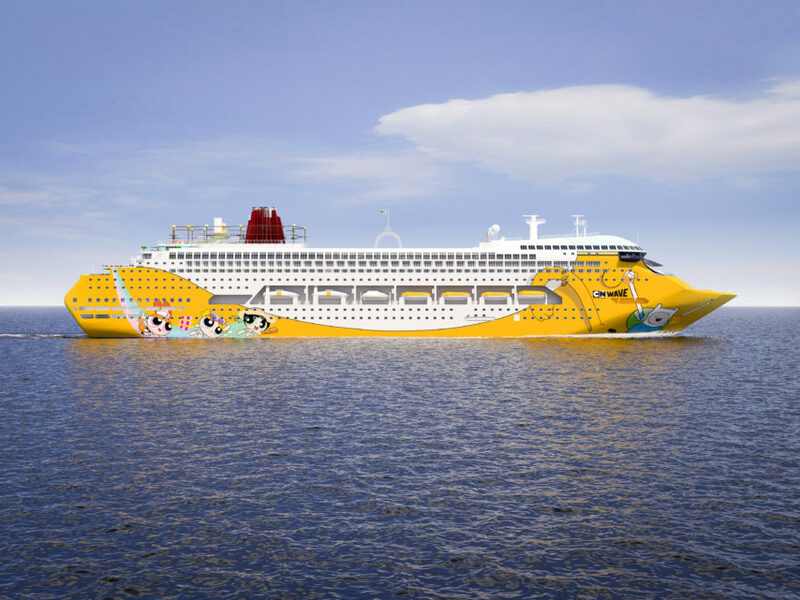 This fully branded ship is the result of a partnership between Oceanic Group, Asia-Pacific’s leading cruise management company and Turner, the global media giant behind Cartoon Network. Set to make its maiden voyage from its homeport of Singapore in late 2018, the 2,000-passenger Cartoon Network Wave will be a haven for Toon-loving travelers, where families will enjoy an adventure with their favorite Cartoon Network stars. While there are existing Cartoon Network–branded restaurants, theme parks, waterparks, and even planes and trains, this is the first time that a cruise ship has undergone a full Cartoon Network transformation. The theming and entire onboard experience of Cartoon Network Wave is inspired by the well-loved characters from iconic shows such as Adventure Time, Ben 10, The Powerpuff Girls, and We Bare Bears. This includes a variety of entertainment, activity and recreation features, as well as retail and food and beverage options. 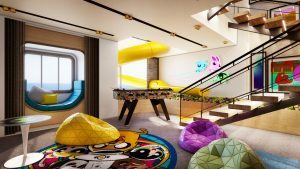 Weighing more than 50,000 tons, Cartoon Network Wave features 800 fully themed cabins and suites, including two triplex suites; nine restaurants, pubs, and bars; a rope adventure park, and more fun elements for cruisers of all ages. Featuring Adventure Time’s Jake the Dog as the main character spanning across the ship’s hull, Cartoon Network Wave will be docked at the Singapore Cruise Centre and will sail to 13 destinations in the Asia Pacific region including Singapore, Malaysia, Thailand, China, Taiwan, South Korea, Australia, and Japan. Dates and itineraries for its routes around Asia Pacific will be announced in the coming months.